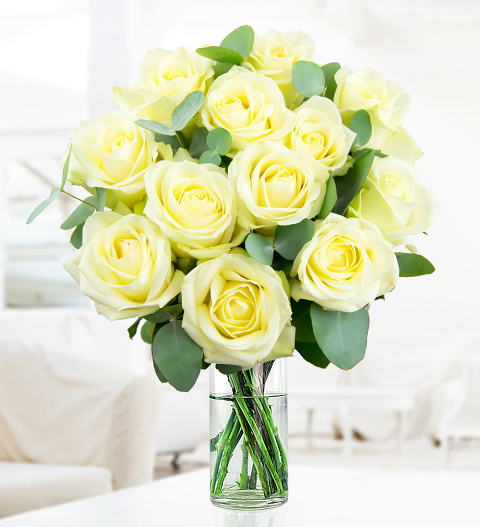 Our expert florists have designed this elegant bouquet to make any recipient feel loved. This fine flower arrangement includes 12 luxurious white Avalanche Roses with just the right amount of eucalyptus to make these gorgeous flowers stand out even more. Perfect for any occasion and to show somebody special how much you care.